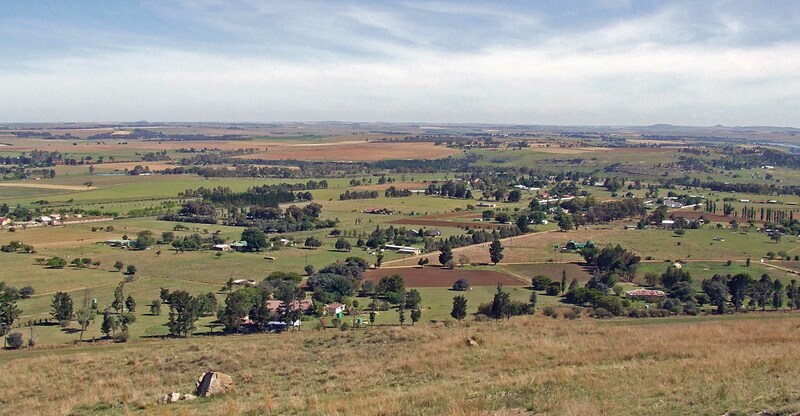 Between finishing my PhD and starting my current job, I spent several months of unemployment on the family farm near Bethlehem in the Free State Province, South Africa. Rather than actively searching for a real job, I procrastinated by watching birds and tracking mammals with a camera trap. The experience was like re-reading a really good book; I kept seeing things I hadn’t noticed before. Despite spending my childhood in the area, it wasn’t until I actually started paying close attention that I realised the amazing nature around me. Although it is an agricultural heartland, the region is teeming with life. For example, the sampling quadrat for the South African Bird Atlas Project near my house contains 257 different bird species. To put that in perspective, the entire Island of Madagascar supposedly only hosts 265 species (give or take 10 species depending on the source). No wonder the area is part of the Rooiberge-Riemland Important Bird and Biodiversity Area. If I, as a professional ecologist, took so long to realise the amazing biodiversity of the area, then surely others are also oblivious to it? As conservationists, we should be concerned by this. Most of the half-a-million hectares of the Rooiberge-Riemland Important Bird and Biodiversity Area is on commercial farmland. How can we expect to conserve this area without the buy-in from the local farmers? They are, after all, the owners of the land and are solely responsible for what happens on the ground. As a consequence, I am trying to realign my own career trajectory. The idea now is to make it as easy as possible for farmers to conserve nature. To this end, I wrote an essay for pilot African version of the The Conversation. If you’re interested please click through: Farmers hold the key to nature conservation: let’s treat them that way. We’re used to hearing great tales of conservation in faraway tropical forests and coral reefs, but I am incredibly excited about the opportunity to conserve nature in my own backyard. Hopefully, this is just the first in a long-line of things I have planned. Watch this space. This entry was posted in Africa, Biodiversity, Conservation, People and conservation and tagged Africa, Agriculture, Biodiversity, Conservation, The Conversation. Bookmark the permalink. Very much so, I’d go as far as suggesting they are the key to ensuring the survival of a great many wildlife species. Now, we need to find a way to get them to accept and adopt specific scientific practices which enhance the biodiversity on their land, the world over. Tis certainly not good practice in alienating them. Keep blogging Falko, a fascinating read once again. Thanks Tony, I agree completely. I must admit, however, that, like many ecologists, I saw farmers as an obstacle to conservation for much too long. After thinking about it, I realised that the vast majority of farmers actually want to conserve nature. As you suggest, they just sometimes don’t know about scientific best practices (which is more often our fault as scientists, not their fault as farmers). Other times, they just lack the correct incentives for pro-conservation behaviour. The article I link to in the post actually argues that here in South Africa were are not creating the right incentives for conservation on farmland. P.S. Thanks also for the kind encouragement! Yes, it must be said that incentives are so so important too. Should we ever abolish CAP reform over here and pull out of Europe, it would produce a long period of uncertainty, don’t you think? I’m learning a lot from your blog so stick at it.